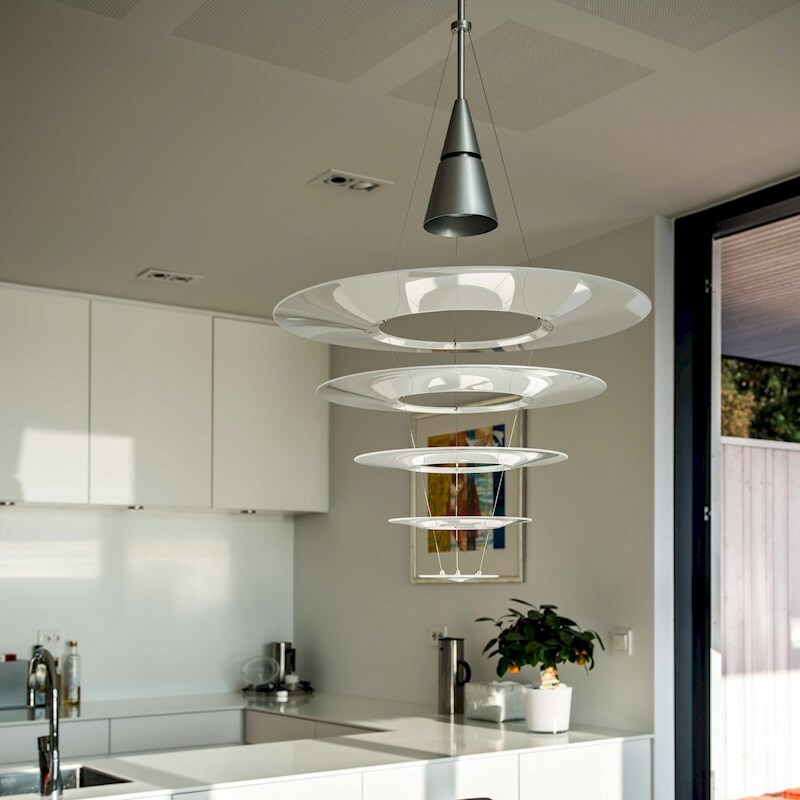 The pendant light from Louis Poulsen Enigma 545 donates soft glare-free light. Japanese lights are the inspiration for the design. Razor-thin aluminum wires hold the five discs, matt lacquered acrylic and creating the illusion of a floating lamp. The light source of the pendant lamp is located in the cone and from any angle directly sichtbar.Das design of the screens on the one hand leads to a pleasant light distribution in space and on the other hand to a uniform illumination of the screens. The Enigma pendant light is available with four (Enigma 425) or five (slices Enigma 545). Louis Poulsen provides even greater variation (Enigma 825) with seven slices.